tpdnews: Recognize this person on interest ? Please contact us if you do. Recognize this person on interest ? Please contact us if you do. The individual depicted within is wanted for questioning relative to Armed Robbery onboard a Route #16, MBTA bus at Old Road and Ellington Street in Dorchester, on Friday, May 11, 2018, at approximately 1:50 AM. 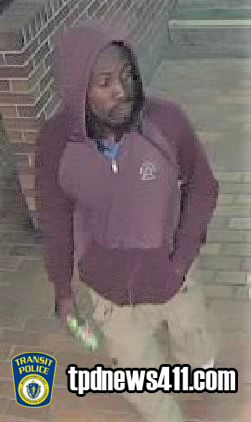 Help us ID a bicycle thief !! Cambridge woman assaults MBTA bus operator. Boston man arrested for Larceny.